It’s been over a week since my last blog post and it makes me sad. I have thought of so many good things to blog about, but life has gotten in the way. I’m thankful to be needed and wanted, but I miss getting my thoughts out there! I have some good pictures to post, but not with me, so that will have to be a separate post (hopefully not NEXT week). The 84 degree temperatures yesterday made my mid-July due date a big reality yesterday! Only 10 weeks until baby #2 is here in my arms (or less if I don’t make it the full 40 weeks). I’m excited and nervous at the same time…not about the labor part, but just about the adjustment period and recovery at home. I’m hoping our 2 year old will cope well and understand. We keep talking to him about the new baby, but he just doesn’t seem to get it. He’s 27 months old and will be almost 2.5 when the baby gets here, so I’m hoping he understands by then. Either way, I’m sure it will be fine. In the meantime, I have to get the new baby’s room together. I have our old baby clothes separated now, so at least that’s taken care of. If this one is a boy, we’ll be set on clothes…if it’s a girl, I have enough neutrals to tide me over until we can swap them out for girl stuff. Thank goodness for baby consignment stores now, huh?! Work is keeping me busy, too! I taught my first lifeguard class a week and a half ago and all 4 people passed, thankfully. I’m on the last week of our weight loss contest where I’m heading up a team of 5 ladies with nutrition advice and 1 hour of personal training each week. I love the contest, but it’s very demanding and I’m looking forward to the slower pace of next week. We have plenty of other things coming up that I have to prepare for like a 5k race in July and a 10th anniversary celebration in June. I’ll be busy right up until this baby gets here. OH! I got my BodyPump video recorded and uploaded as well so here’s hoping I will be certified by the middle of May. Keep your fingers crossed for me. Stuffed Shells – made this one last Tuesday and it was good (4/5 stars)! I used manicotti instead of shells. Chicken Chimi in the Oven – this was Monday’s dinner in celebration of Cinco De Mayo. I give it 3/5 stars…I will omit the cinnamon in the future, I think. Dad’s Breakfast Pizza – loved this one so much I made it twice in one week (5/5 stars). The first time I made it, I followed the recipe but used crescent rolls instead of biscuits and I did over easy eggs instead of scrambled…I just cooked my eggs up in a pan with a little olive oil before placing them on the pizza. The second go round, I made my husband’s half with sausage, cheese, and over easy eggs. My half was onions, cheese, scrambled eggs and I topped with salsa and avocado when it came out of the oven. So yummy! I signed up for the PRO account with allrecipes.com and now I have a meal planner feature. You just add your recipes you’ve saved and it creates a grocery list for you. Very neat indeed and it’s only $9.95 for 6 months, so I can discontinue it if I don’t use it enough between now and then. Last but not least, I got my very first garden planted on Monday! I planted butternut squash, yellow squash, cucumbers, and romaine lettuce. I also threw in some sunflower seeds I’d gotten. I have to plant my eggplants and tomatoes, but my seedlings aren’t doing great, so we’ll see how that goes. I might have to buy some plants that are already started for a few things, but that can wait until next week. For Mother’s Day, I asked my darling husband to fence in the garden to keep out the dogs, rabbits, toddler, etc. I also asked to watch The Great Gatsby on DVD Sunday night after we put our son to bed. We have that song on our BodyPump playlist and I want to see the movie. I’m only what, a year behind? Well, let’s take a rest. I promise to post something interesting soon! My father-in-law is out of town and he normally feeds the cows, so my husband got to fill in. It was such a pretty morning that I thought my son and I would join him. We had fun “farmin” – all I did was take pictures and open a gate. My son loves to be outside and especially loves being around tractors, so it was a big adventure. I thought I would share some pictures I took and some from the past week as well. On another note, my husband and I had a wonderful date evening as our son is staying with a relative tonight. We got a bite to eat, watched “Winter’s Tale” (I give it 3 stars), and ended up buying our dining set! I had my eye on a set from IKEA, but when I saw this “Jesus” table at a furniture store we stopped at on a whim, I knew it was the one. It cost just a little more, but it’s fully assembled and they will deliver for free! Seems to be good quality and very heavy. Days like today leave me elated and feeling so blessed. I truly wonder why God takes such good care of me and my family and gives us all that we have. But, when I stop and think about being a child of God, it’s a little easier for me to understand as a mother. I would do almost anything for my son and I will give him all that I can in this life (but not spoil him, you know). Anyhoo, enough typing, time for pictures! …the snowman on Friday morning. Take that, snow! I finally got around to watching “Food, Inc.” the film. It honestly wasn’t as horrifying as I’d imagined it would be. I expected images of animals being mutilated and such, but it was a positive movie of sorts. It wasn’t as documentaryish (I made that word up) as some other movies I’ve seen (like the one where the guy at 30 days of McDonald’s). A 2 year old boy died from eating bad ground beef and the meat wasn’t recalled for weeks after he died. They are trying to pass a law for more inspections of food, but it’s not going anywhere. Ammonia is being used to treat ground beef to reduce contamination. Yuck! I haven’t eaten hardly any ground beef in years, but I’m really going to avoid it now. Lots of folks who are in our government have roles in these large food companies, which is not a good thing. I recommend that you watch this movie if you are concerned about where your food is coming from. Side note – I know I sound obsessed with food and its source here lately, and I think I may be just a bit. However, I blog about it more than I talk about it. My goal is to eat more local foods as much as I can. That way, I don’t have to wonder about what’s in my food. It’s been months since I saw a movie – Cloud Atlas was the last one, actually. Then, I got on a kick this week and watched The Lone Ranger AND The Heat. Thought I would put my two cents in for each one. I saw The Lone Ranger on the 4th with my dad. He loves Westerns and I love Johnny Depp. I give it 3 out of 5 stars. I found myself laughing at several parts and it was loosely historical, I guess. It really showed us again how bad we were to the native Americans. I thought Johnny did a good job and he reminded me a lot of his pirate self from years past. Dad was expecting a more realistic Western and I think it was a little far fetched for him. I found it amusing and entertaining, and I think it’s a good film for ages 13+. Now, The Heat was hysterical in parts, but I felt like I needed to go back to church after the language. I mean, it was “F” this and “GD” that throughout the ENTIRE movie. Thankfully, it was only the one character and Sandra Bullock didn’t cuss until the very end. There’s one part where this dude gets choked on a pancake in a Denny’s restaurant where I laughed until I cried, though. It was hilarious. I would say this movie is an 18+ movie and I give it 2.5 stars. The language was a real buzz kill, especially if you’re a Christian. I felt the urge to leave the theater because of it. On another note, it has rained here ALL WEEK! I’m talking 10+ inches of rain. This evening was no exception. We got into a bad storm on our way home of heavy rain and bad lightning. A strange thing happened on my way home. We live on a dirt road that hardly ever gets any traffic, but it loops back to the main road. I was coming home on the dirt road when I passed a bright yellow Jeep with vanity plates that I recognized. They belonged to my cousin who lives 6 hours away and who I’ve not seen in 5 or 6 years. I luckily had his phone number programmed into my phone, so I called him. He had taken the dirt road to go around a bad car accident that had happened on the main road. I asked him to turn around and come back to my house since he’d never been here before. He came back and visited for a bit, and we talked about parenting, marriage, and family happenings. It was great to see him and such an odd chance. He told me he had stopped at an overlook on the way here to take some pictures. Thankfully he did, or it could have been him in the accident. It’s rumored that a man died in the wreck, and I’m terribly sad for his family. I saw a rainbow just a bit ago, so maybe that means all this rain is about over. I sure hope so. Here are some pictures I’ve taken recently of my husband’s grandmother’s beautiful flowers and the God given paintings of the sky I’m so fortunate to see. 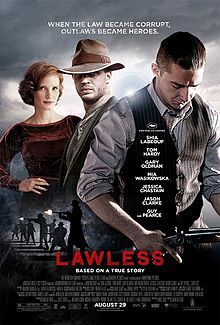 My husband and I saw the movie “Lawless” today. In his opinion, it was fantastic. In my eyes, it was disturbing. I mean, it was a good movie, but I’m a romance/comedy type of gal – this movie wasn’t either of those. There was one romantic scene and a couple of laughs in there, but overall, it was violent. It’s strange when you become a mom (or a parent, I guess) how you start looking at things differently. I think I actually started noticing and becoming more sensitive to different aspects of life when I was pregnant. While I was watching the movie, all I could think of is my 7 month old son. On the way home, I asked my husband something along the lines of “How can we all start out as innocent as our son and then some of us end up so wicked and mean?” I’m sure there are a thousand different viewpoints on this topic, and Freud would have a ball with my question. But, isn’t it disturbing to think about how some folks end up so terrible even though the were happy, smiling babies at one point? Maybe I just have an abnormally happy baby, but it’s hard to wrap my head around it. The movie was set not too far from where I live and it’s hard to believe there was a time when life was like that. At the same time, I know there are similar things happening in the world today that we just don’t know about or acknowledge. OK, enough gloom and doom on this rainy Labor Day! How about reading this article about Labor Day? The interesting part is the “workingmen’s holiday”. Guess the women got involved and changed that up, huh?